Block 15 Restaurant & Brewery is the Mid Valley’s premier Brewpub. They specialize in locally sourced casual food and premium, from the source, craft brews. Block 15 is situated in downtown Corvallis, Oregon. They are in the heart of a bustling area amid shopping, commerce, historic buildings, and the waterfront park. 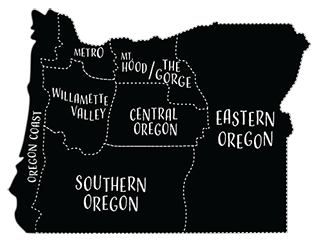 They are also only a few blocks from the Oregon State University campus. Located at the corner of Third and Jefferson, their building was originally built in 1926 for the Gazette-Times newspaper. Through a fusion of old and new, traditional and unique, Block 15 was born. Their take their footprint on this earth seriously. Breweries and restaurants in general create a large amount of waste and use a lot of resources. Through planning and training, Block 15 takes the steps to reduce waste and limit resource consumption. Their plan is always evolving, as they constantly search for unique and effective ways to bring you the highest quality beer and food in a more sustainable manner.